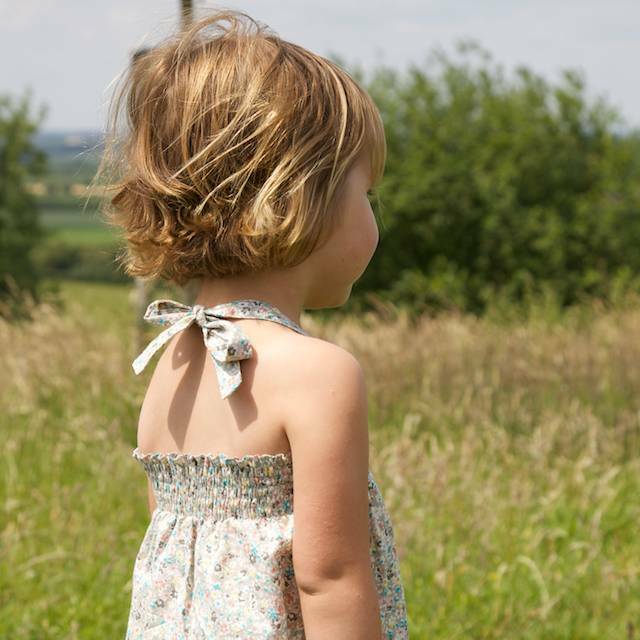 The Lucy dress, top & skirt is the perfect summer pattern. In about one hour, you can create a vintage style summer garment for your little girl. With elastic thread and the right technique, I’ll show you how to shirr. 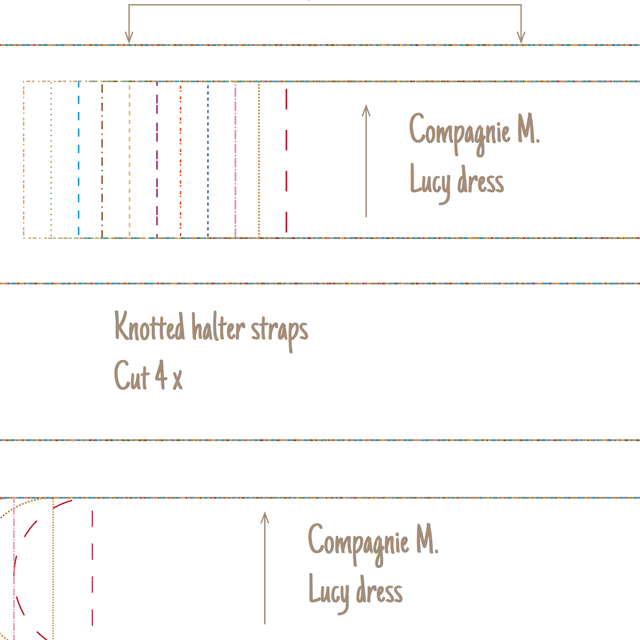 Along with the dress / top / skirt options, I have included three types of straps and the option to add a faux button placket. 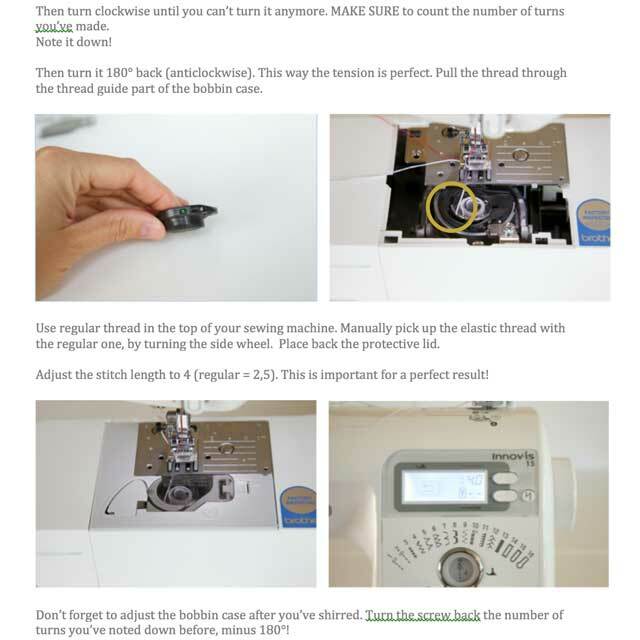 In the instructions I will show you how to shirr on a Pfaff, Bernina & Brother sewing machine. Are you ready for endless shirring fun? 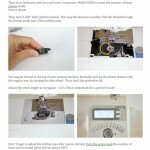 The pattern and instructions are available in an English and Dutch version. 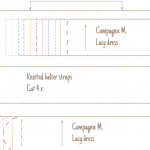 – Last but not least, the pattern also includes an option to add a faux button placket at the front. You can add this button placket to all options. the great instructions that come along with this pattern took al my fear for the technique of “smocking” away! 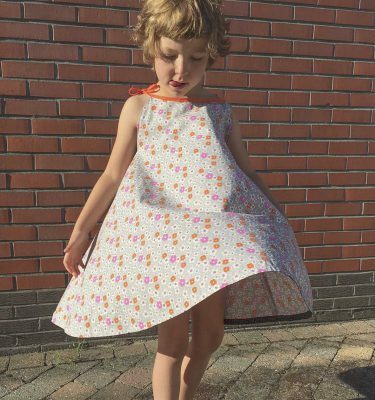 A beautiful pattern that you can sew in a twinkle (you can easily finish this project in 1h)! I love it! I made 2 skirts, 1 dress with buttons and 1 top in not even one day! Even the smocking instrucion are easy and clear, I really recommend this pattern! dit geweldig patroon rolde net vanonder mijn machine! Deze week zwier ik mijn foto’s op het internet. Elke keer opnieuw ben ik onder de indruk van je duidelijke handleiding en heldere foto’s!